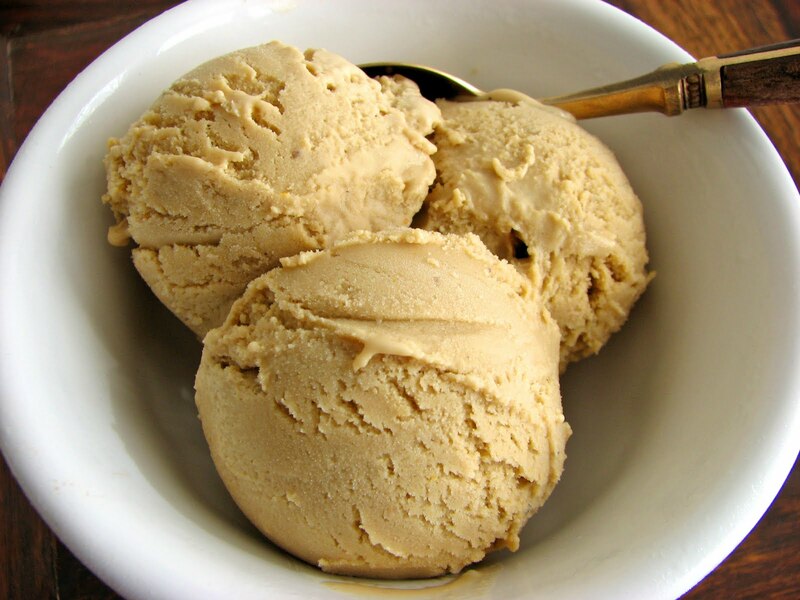 I love coffee flavored desserts and coffee ice cream is right up there among the best. 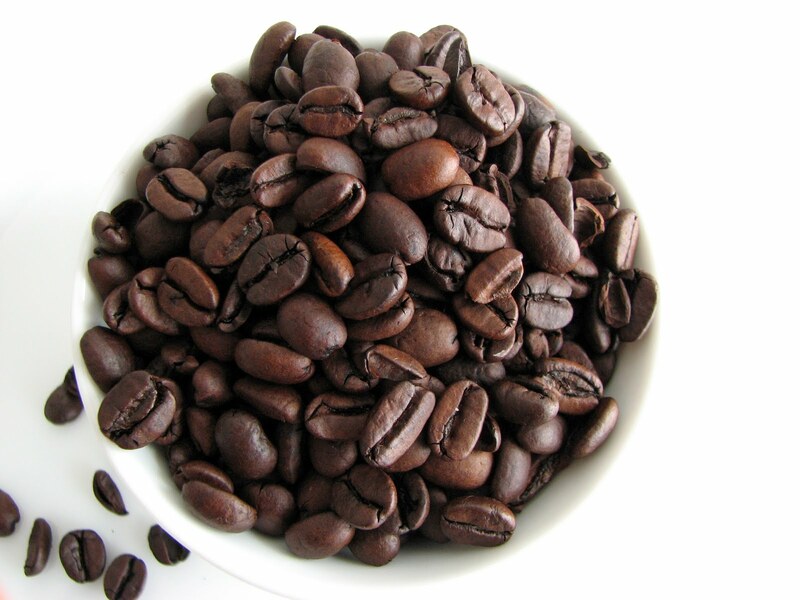 Some people would walk a mile for a really great cup of coffee, one that is steaming hot and brimming with robust flavor and aromas. 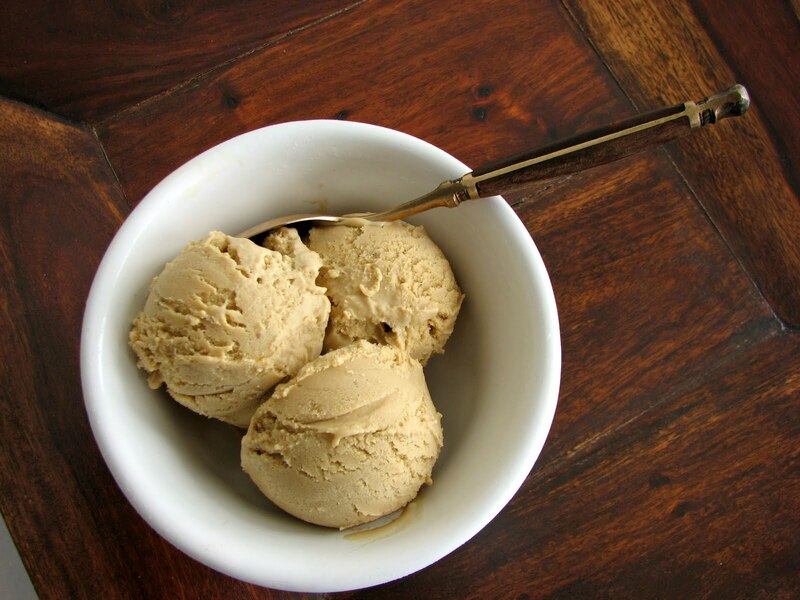 Coffee ice cream is just another extension of the desire for a great cup of that same coffee bean flavor au lait. It seems so sophisticated and so satisfying, just like a good cup of coffee always does. I put this ice cream together from a sense memory I have of tasting a super delicious Turkish coffee anglaise prepared by a chef I once worked with years ago. It was one element of a complex dessert that included lots of other flavors and components but I thought about that sauce for years. I finally realized I just needed to make this ice cream to get it out of my system and I’m glad I did. The flavor is of delicious robust coffee with a backnote of cardamom, which only sneaks up on you at the end. This is a simple preparation of some good coffee steeped in milk and cream along with orange zest and cardamom pods. Once it’s cooked to a custard, I add an extra shot of espresso just to keep things lively. I think this will hit the spot for those of you who love coffee ice cream and are looking for a slight twist. We so often savor the ritual of tea and coffee with friends and family. I’ll add this to the list of coffee rituals in our world of pastry and desserts. - I used 15 cardamom pods. You can start with 10 and taste after steeping to see if you want to add more. It may seem like a lot, but remember that the coffee flavor is fairly overpowering. - You don’t want to boil the custard, so the stirring is necessary to keep the custard moving, preventing it from heating too fast and turning into scrambled eggs. I use a wooden spoon in the shape of a spatula when I’m cooking ice cream bases. It’s perfect for making sure you're scraping the bottom of the pan continuously. - I resist the temptation to garnish this ice cream with anything else for fear of losing the subtle spice that is fairly delicate. - Fresh ice cream will keep over time but it may become quite solid due to the fact that it doesn’t contain any artificial stabilizers or emulsifiers. 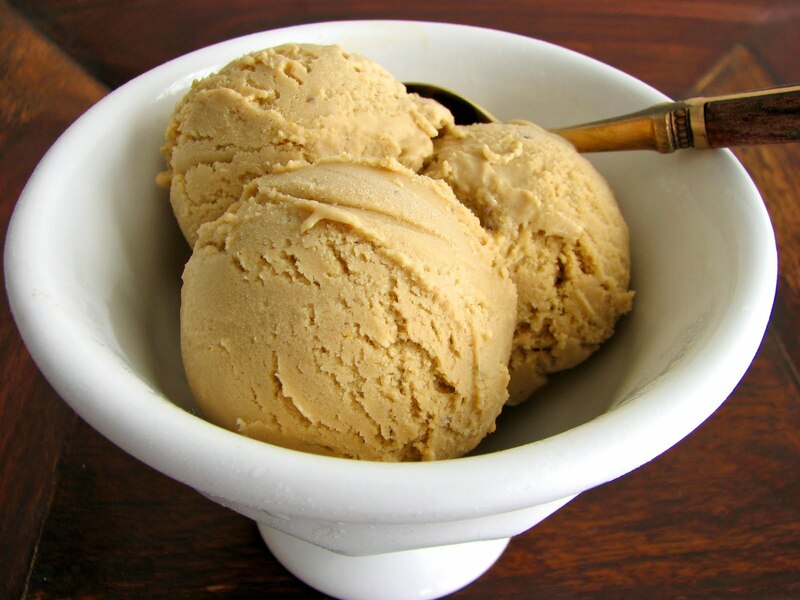 Let your homemade ice cream sit at room temperature for a few minutes to enjoy the full flavor and texture. Combine the milk, cream, sugar, coffee beans, cardamom pods and orange zest in a saucepan and bring to a slow simmer over low heat just until the sugar is dissolved. Do not boil. Remove from the heat, cover and let steep for 1 hour. After about a half hour, taste the mixture to be sure you have the right level of cardamom. Add more if you prefer, reheat gently for just a minute or so, remove from heat and continue to steep. After steeping to the desired strength, strain the coffee cream mixture into a clean saucepan and warm gently. Whisk the egg yolks in a medium bowl. Slowly add the warm coffee cream mixture, whisking constantly to keep the eggs from scrambling. Return the mixture to the saucepan and medium heat. Cook, stirring and constantly scraping the bottom of the pan until the custard thickens and coats the back of the spatula. Pour the custard through a strainer into a clean container, pressing the beans to be sure you get all the liquid. Place the instant espresso powder in a small bowl and stir in some of the cream to dissolve. Add the espresso and whisk thoroughly. Add a good pinch of salt to taste. Chill the ice cream base overnight. I love coffee and this looks so wonderful-weather here in Seattle is perfect for ice cream. I think this will be a Sunday dessert. Oh my!! that looks delicious!! love it!! I was CRAVING a turkish coffee yesterday. AND, I have been wanting to make some ice cream. Oh man, I can't WAIT to make this! the title just caught my eye.. brilliant recipe and spicing! This recipe sounds really delicious. I am wondering if I could use powdered cardamom? I don't have the pods... :) Lovely photos, too. Mmmm, coffee and ice cream - two of my favorite foods! I was just thinking the other day that the weather was right to start churning our own again. I'll add your recipe to our "To Make" list! Mmm, looks tasty. I've gotten a taste for coffee tasting desserts now. This looks so good with that luscious cream color. Hello and thanks to everyone for your generous comments! Dawn, you can use cardamom powder. I'm not quite sure how much, but you might start with a scant 1/2 teaspoon and just keep tasting while it's steeping. Add more until you have the right amount for you. Hope you enjoy! Hi! I really like the aroma and flavour of cardamom and orange, and think it's brilliant that you have used them as background notes to coffee. Great! I really want to try cooking and eating this, as I suspect the sum of these ingredients will be delicious. However, I don't own an ice-cream maker, and its late autumn here, so I thought I might just make the custard and either turn it into creme brulee, or eat it with cake. The problem is that I've never made creme brulee, and am not sure what cake to eat the coffee custard with. Can you help me out by either telling me how to proceed with the creme brulee idea, or suggest a cake from your blog that I can pair with the coffee custard? Thanks so much! Hi Aneta! I don't have a creme brulee recipe at the ready that has been tested with these ingredients, so I hesitate to suggest that. If you want to make a dessert sauce, I would suggest you make half of this ice cream recipe and stop after you've made and strained the custard. That will be a creme anglaise, a great dessert sauce. Bring it to room temperature and then serve is as a sauce for a simple chocolate cake. It can also be stored in your refrigerator for a few days. If you've never made creme anglaise, cook it over medium low heat for better control and stir constantly to prevent it from boiling. If it looks like it's getting too hot, take it off the heat and keep stirring. It's incredibly moist and full of an amazing chocolate flavor. I don't think it will overwhelm the sauce. You can dust it lightly with powdered sugar and serve next to a pool of sauce. Hi! Had a look at David Lebovitz's blog and of course, people have been making ice cream before there was electic machinery, so I will like to make this ice cream sometime in the summer. For the time being, however, I will half the recipe and make a creme anglaise to go with your devil's food cake, which looks and reads delicious. (I've been on the lookout for a good chocolate cake)I think chocolate and coffee flavours work very well together, so am excited to give this a go. I appreciate all your assistance, and will let you know how it goes. Another coffee ice cream lover here, too. Cardamom seeds are a new favorite of mine, as well. I love the twist and the addition of orange zest! Beautiful picture, too. Hi! Well, after explaining to my partner that I was set to make the coffee creme anglaise from your coffee ice cream recipe, he raised a good point: why not make both? Why not indeed. I made the full recipe, divided the custard in 2 lots, 1/4 to be eaten as creme anglaise with the devil's food cake, and the 3/4 to be turned into ice cream. And both tasted amazing! AMAZING! I used 15 cardamom pods(purchased from the supermarket, they were shriveled and tiny) and one jumbo sized orange (from the farmer's market the day before), bursting of flavour. In the creme anglaise form, the coffee flavour was strong, the orange came through beautifully, and the cardamom lastly, but faintly. It was however too sweet, so next time I will use less sugar. But something interesting happened. The ice cream, although equally flavoured, did not seem as sweet as the creme anglaise. And, the cardamom flavour, which came through last as in the creme anglaise, seemed to linger on the tongue much longer. Shortly after enjoying the ice cream, we went shopping and bought ourselves an ice cream machine! Yes, we were that delighted. And looking through your archives, I foresee many happy ice cream adventures to come. Aneta, wonderful that you bought an ice cream machine! There really is no comparison to fresh ice cream and sorbet and you can have the pleasure of making your favorite flavors. Creme anglaise is very, very rich as a sauce and yes, tastes more concentrated and sweeter than the ice cream end product, although some herbs and spices tend to stay strong over time in the freezer. There are quite a lot of variables when formulating ice cream. I personally do not like the taste of sugar so I formulate my recipes to use the least amount possible without compromising texture. In baked goods, sugar acts not only as a sweetener, but also as a tenderizer, a browning agent and a preservative. In ice cream and sorbet, sugar prevents the mixture from becoming too icy or grainy. And all sweeteners are not equal. Different sweeteners have different properties that will affect the texture, such as honey. So keep all this in mind if you think you may want to alter recipes. Thanks for the inspiration! I changed a lot of the recipe but you gave me the bare bones to work with and make the ice cream of my childhood dreams. You can see the post here. Suzie, you are so welcome. Your version sounds wonderful and I'm so glad I provided the motivation to jump right in and recreate your dream ice cream! It looks delicious. Thanks for posting a link to my version. And here's wishing you lots of coffee ice cream enjoyment! Very nice, might try this at home with fresh ground coffee!